Explicit Interviews – Ryan Ferrier – What’s Up Butthorns! 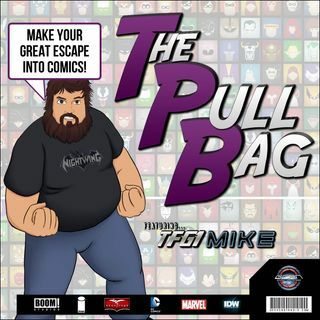 Jump inside The Pull Bag's first interview of 2016! Ryan Ferrier writer of D4VE, D4VE2, Kennel Block Blues, and the upcoming HOT DAMN! TFG1Mike and BeatlesDiva chat with Ryan for about an hour on his life, comics, writing, and so much more. It's your JOBSDAMN DUTY to listen to this interview. For the LOVE OF WOZ come have some fun with us!